I remember it well, we lived on Police Station Lane, (now Dukes Lane) and on February 1st, because our school was flooded, (Technical High School) my brother and myself decided to go and ''have a look'' finding the two barn/shed doors, we had a go at rafting, I remember it well, I fell in, not long after the photograph was taken. 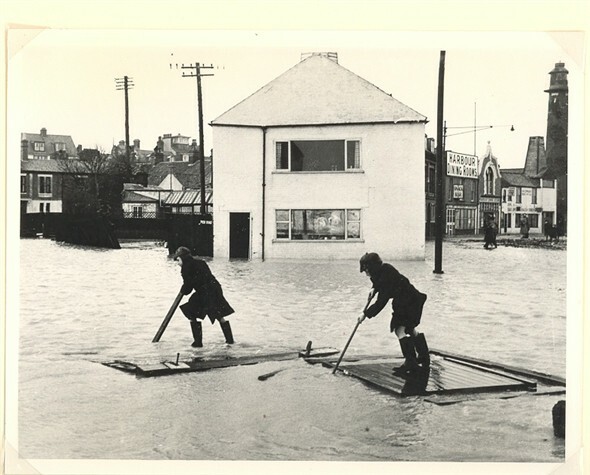 Yes I remember the floods of 1953, I would be about 8 at the time. We lived at no. 95 St.Nicholas Road, opposite Smiths fish and chip shop where my mother worked. We stood on the doorstep until very late watching the progress of the flood water. Fortunately it stopped at the silk mills pub. I remember my dad lifting me up on his shoulder to take us out of the flooded house on Breydon Road, Cobholm and into an army lorry which eventually took us to Caister Holiday camp! I can remember the flood of 53. I would be about 5 at the time. We lived on Jellicoe Rd ,my father was a policeman. I can remember him coming home soaking wet ,he took off his wellington boots and water came out of them over the kitchen floor. We didn't see much of him over the next few days ,only to change into dry clothing and go back on duty, I can remember my mother taking me over Jellicoe bridge to the sea wall and looking at the water lapping up the wall. It would have been a few hundred yards normally to the sea. We were luckier than a lot of people, especially those in Cobham and Southtown. At the time you didn't realise how bad things were for them, but in later years on looking back ,I felt sorrow ,then admiration for them. They didn't moan ,they just carried on as best they could . It was great when the waters subsided cause we saw more of my dad. I do believe several police officers at the time were given commendations for their service above and beyond the call of duty. 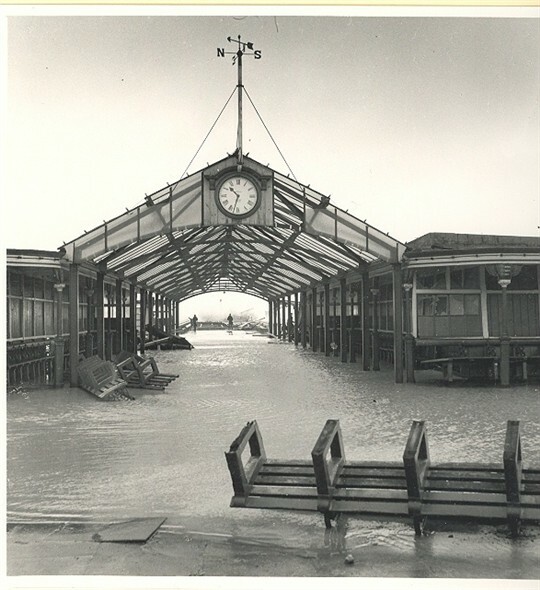 I remember the 53 floods very well. I was about 6 and we lived in Common road, Southtown. I remember the flood water rushing through the allotments. A neighbour had a punt and punted against the tide to get the animals out of the allotments. He was one of the Grant family and a brave chap. I remember looking out of my bedroom window at the water below the railway line. A frightening and fascinating time. After all these years I can still remember details of the 53 flood as if they had only just happened. I remember the man at the back gate trying to get to his mothers in Stafford Road on a raft made from wood that had drifted out of Jewsons. The car that had been almost totally covered by the flood water being dragged away by a tractor. Being taken from our house in Wolseley Road after 3 days of living upstairs watching the Ross carriers from Jewsons getting some of the people out by putting planks from the carrier to the bedroom windows. We could not get out of the downstairs as the doors had swelled with the water and stuck shut. 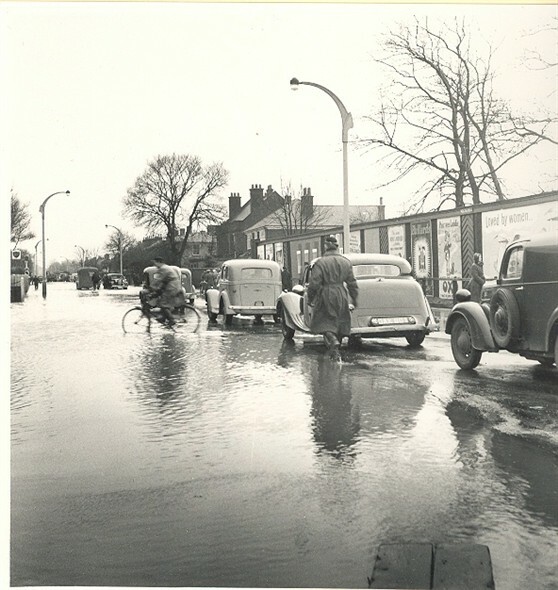 After climbing down ladders we were taken in a row boat from our house in Wolseley Road into Station Road then into Lichfield Road and then being transferred to a RAF lorry; the water was still deep and Lichfield Road was as close as the lorry could get. In the lorry we had our first food for three days a ham sandwich, my dog had the crust. We were deposited at the foot of HavenBridge. Before we walked to my Grandmothers house in Deneside we went into the bridge and asked if we could have a cup of tea, a short fat man said I have plenty of tea but no cups and he pointed to urns of tea, after 3 days without drink and only 1 ham sandwich I think my fathers answer was unrepeatable! (Things like that stick in your mind). Father took us to Grans and then returned to Southtown the same day and with the Police he helped in the rescue and recovery of bodies, in fact there was a small piece in the Mercury. There were many stories of ordinary people helping each other two that I know are true and remember is Longs Milkman Cecil Morse who managed to get hold of a boat from the boating lake and took milk to his customers passing the milk up in a basket on a long pole. Also, my cousin tried to walk home through the flood water and was almost drowned but managed to get out of the water with the help of Nurse Nights who took him into her house. Let’s hope and pray we never see such a disaster such as this again. Hi, could someone please let me know if there was a police station built in Cobholm before or after the floods. Thanks. Hi, I lived at 68 Mill road and remember looking out of an upstairs window and watching an army DUKW vehicle driving past on its way to rescue the farmers up on Breydon marshes. We were rescued and taken to the HospitalSchool on the Market Place. 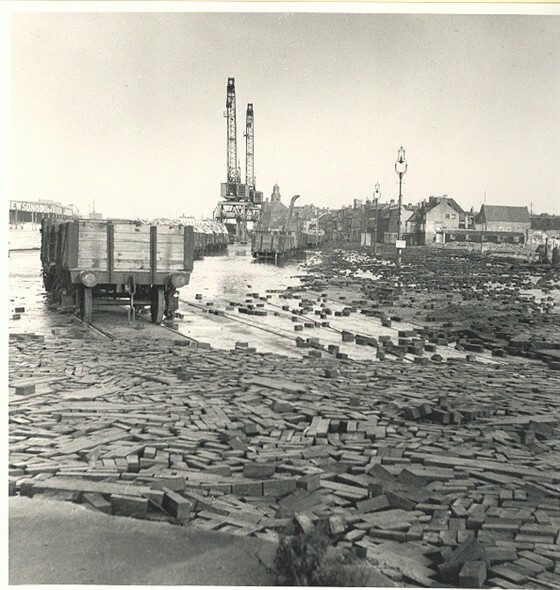 Later on I remember we were issued with sacks of wooden blocks taken from the roads (they burnt very well as they contained a lot of tar). I do not remember any police station in Cobholm, but I do remember a large police box near the Lady Haven pub, similar to the Dr Who model. 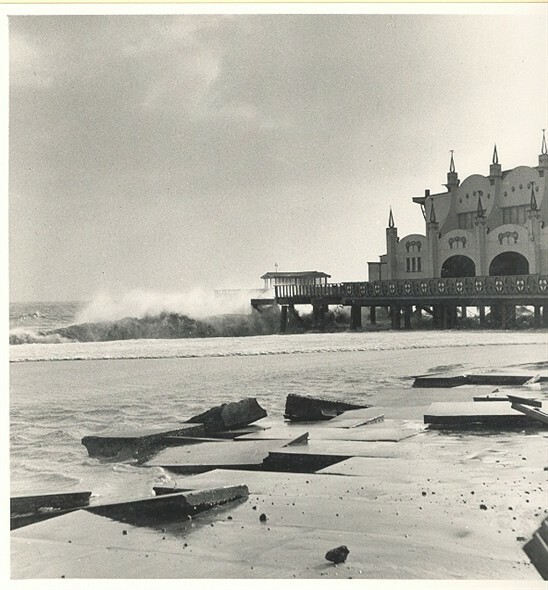 We lived in Beach Road Gorleston, our house was flooded; I was 6 months old but my 7 years older brother remembers well. We had to live upstairs in the house till they rescued us through the bedroom window. We had no toilet water, some food. My parents said the house was unliveable for a long time but we had to live in it as there was no rehousing. I have a photo of our house taken during the floods. I believe the sea came in as far as Stalham. Several people in the same family died in the pub at the gap at Sea Palling.